Claire Hunter, a past winner of the North of Scotland and Aberdeenshire women's championships, Claire Hunter has scored her biggest golfing success since she moved to New Zealand nine years ago. 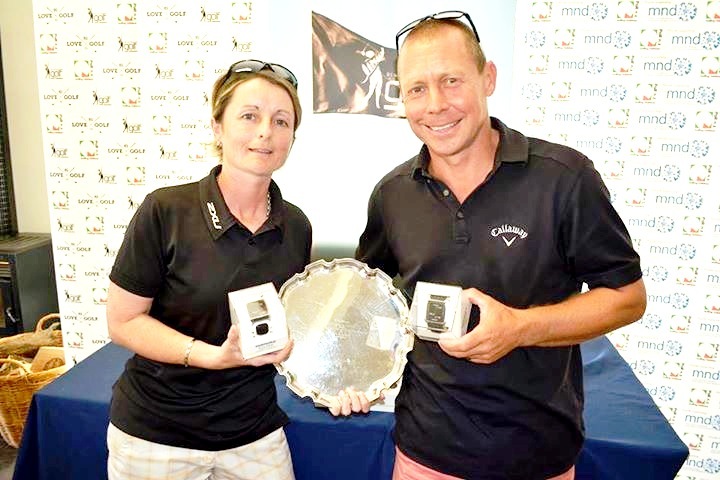 Claire and husband Grant Dooley - they were married in Aberdeen in 2013 - won the New Zealand mixed foursomes match-play championship at Wanaka Golf Club, South Island this weekend. A Hazlehead and Deeside GC member, Claire beat Audrey Murray (Tain) 4 and 3 in the 1997 final of the North of Scotland women's amateur championship at Murcar Links. Murcar Links was also the venue when she won the Aberdeenshire title in 1994. What a small world we live in ! Read about Claire Hunter and partner winning the New Zealand mixed foursomes at Wanaka Golf Club, where Peter Smith was ex pro, and where I am a Country member, then just received the report, that Claire and partner beat twp of my best friends in the final, geoff@ maree saunders, who live beside Sir Bob Charles at Clearwater resort in Christchurch ! It was the Saunders who came with Sir Bob and myself on the Machrahanish visit three years back ! It is indeed a small world !